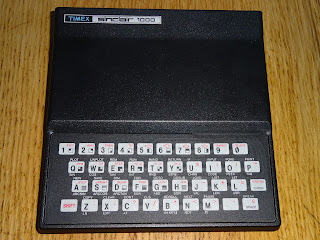 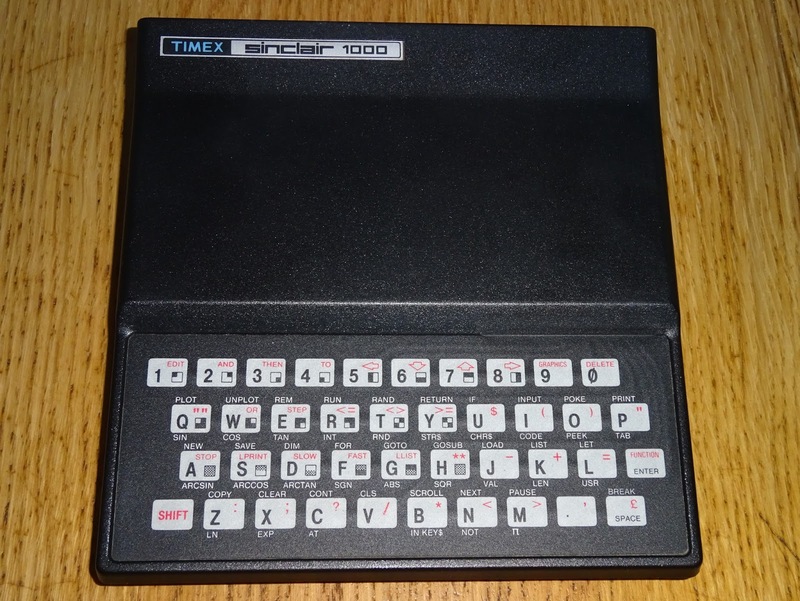 The Timex Sinclair TS1000 was a rebadged version of Sinclair's ZX81, with a few minor changes. 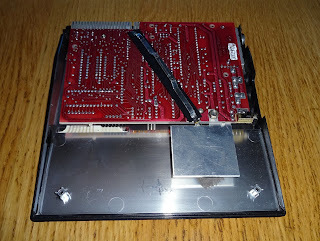 Inside is a standard ZX81 Issue 3 board, with some extra shielding and some modifications for NTSC mode and a channel switch (more on that on my previous post on making a multi-region TS1000). 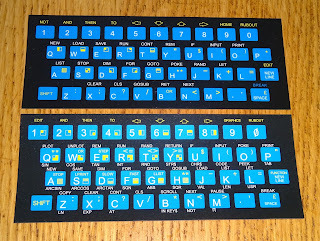 One less obvious change is two of the legends on the keyboard have been altered. 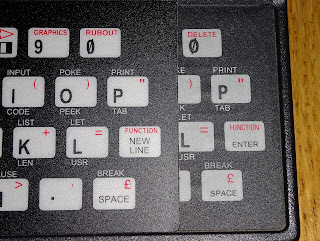 'RUBOUT' becomes 'DELETE' and 'NEW LINE' becomes 'ENTER'. 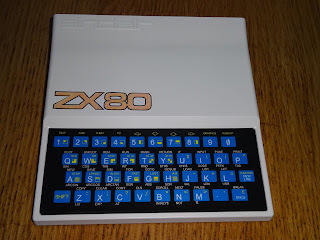 Both fairly logical and more widely used than the terminology used on the ZX81. 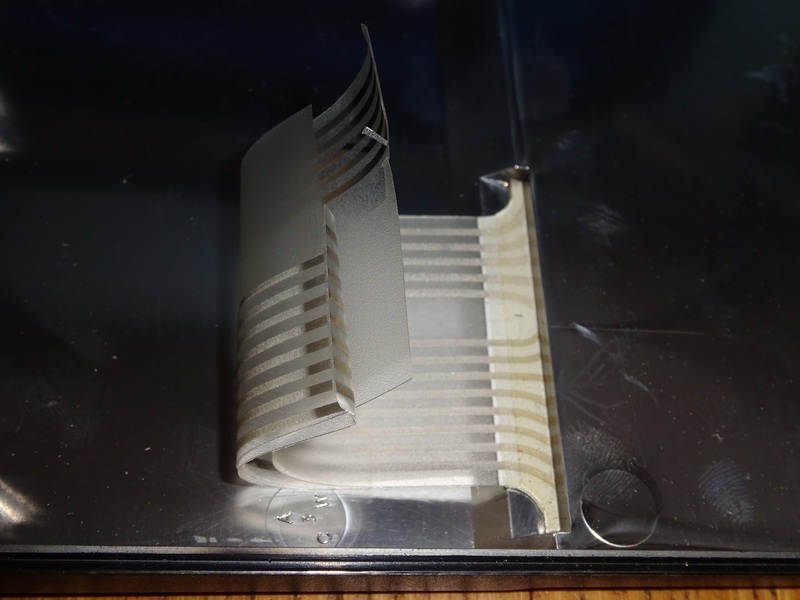 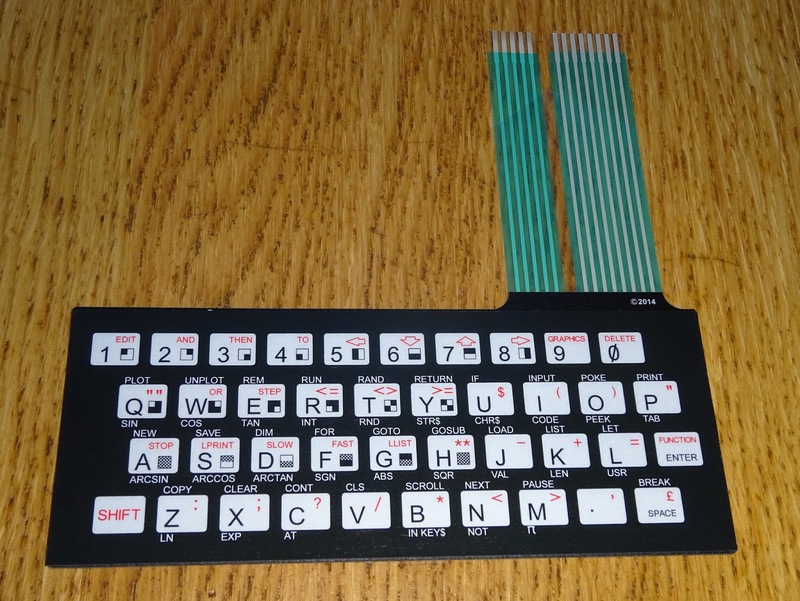 The ZX81 is a more common machine, with a big following, and this makes it viable for replacement keyboard membranes to be manufactured for the ZX81, such as these excellent membranes produced by RWAP software. 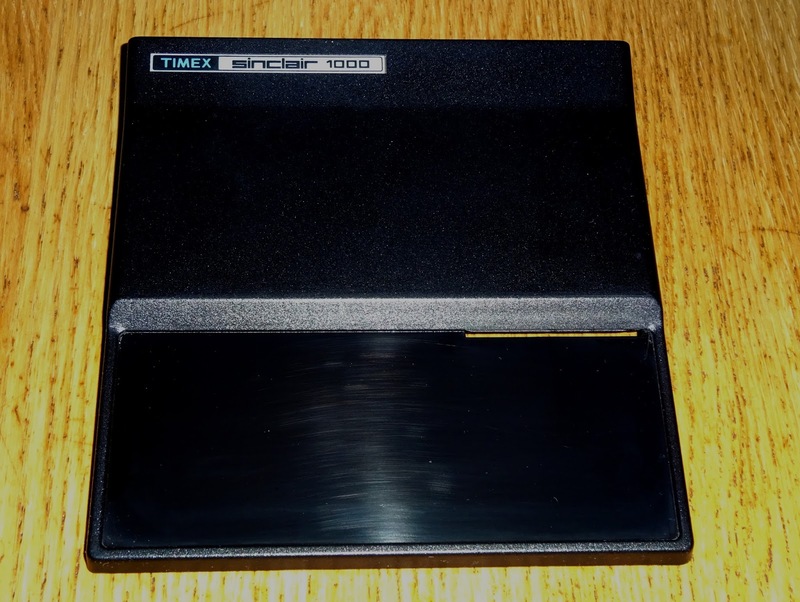 However, the TS1000 are not as widespread, so it's probably not cost effective to get TS100 versions of these membranes produced. 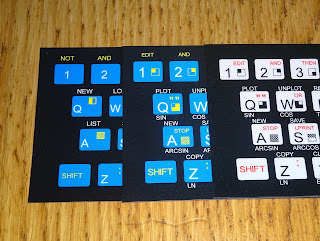 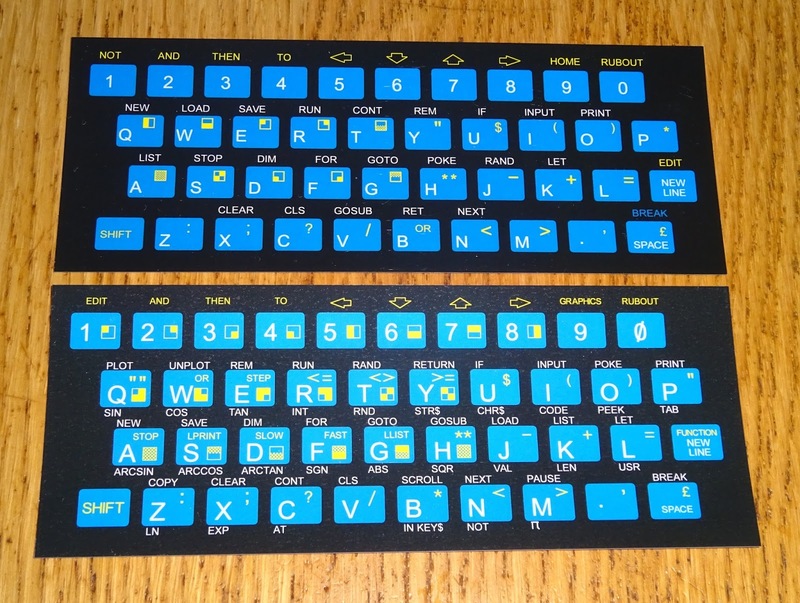 I had already had some stick on overlays produced for my Minstrel ZX80 clones, in the ZX80 colour scheme. These were designed to stick over one of those ZX81 replacement membrane. 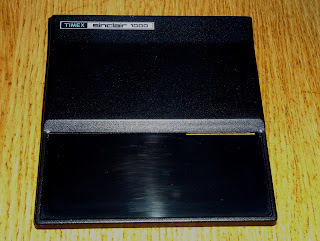 I have now added a TS1000 stick on overlay to that range, so now you can make TS1000 replacement membranes. 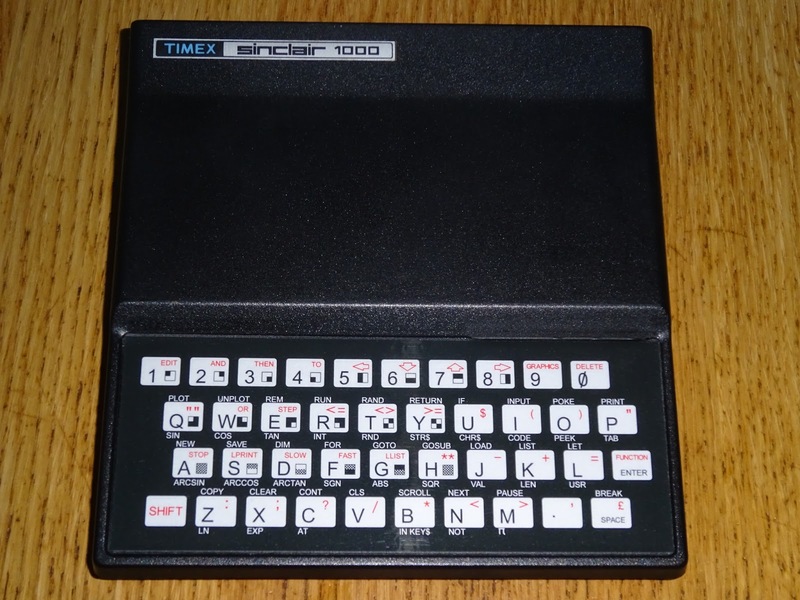 These stick over the ZX81 membrane to give you the correct keywords for the TS1000. 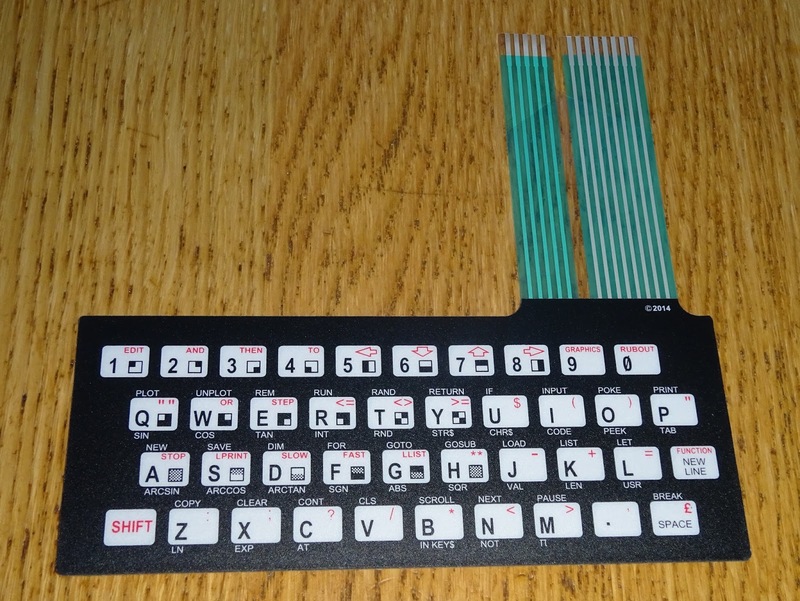 The resulting membrane is just what you need if you have a TS1000 with some rows or columns not responding. 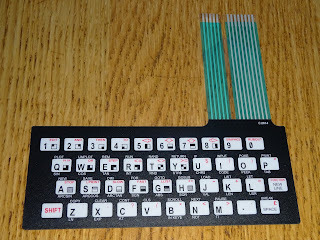 This is one I had already tried to save a couple of times, but the cracks were too close to the keyboard end. 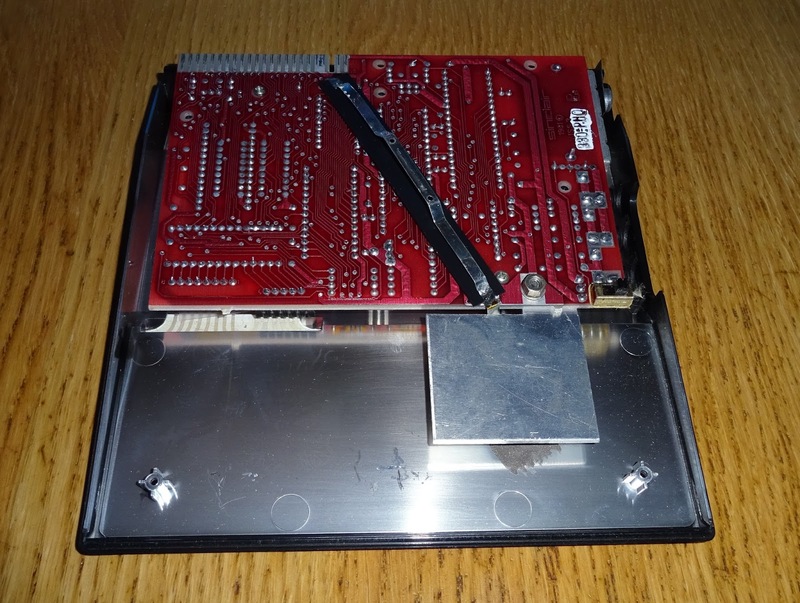 The old membranes usually peel off quite cleanly, if not, clean up the case so it is flat and level. 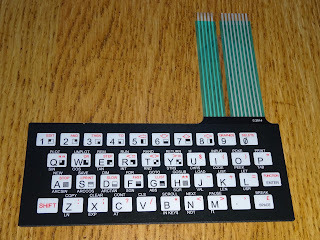 Then remove the adhesive backing on the membrane and fit into place. 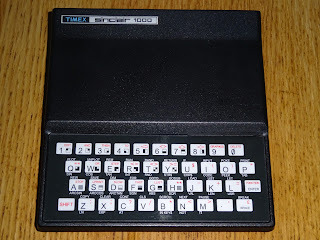 And there you have a TS1000 with a new membrane with the correct keywords in place. 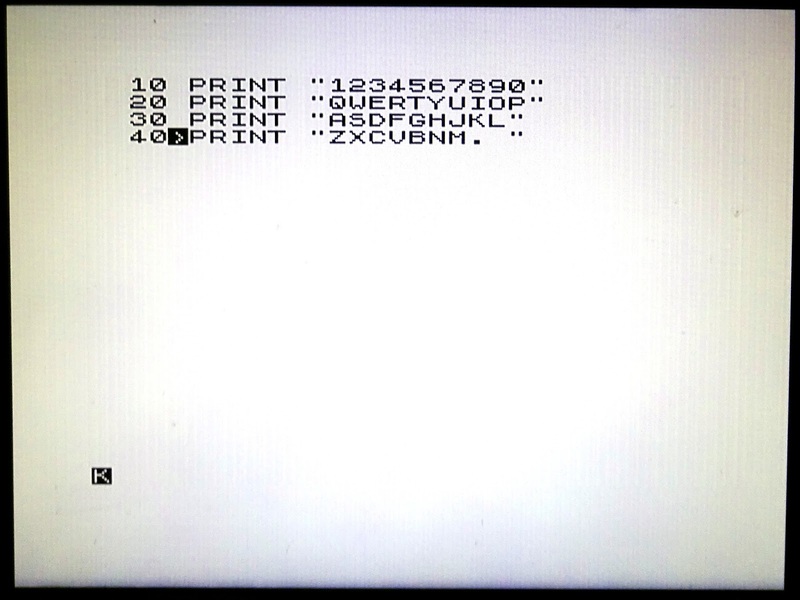 All keys are now working, so I can get back to loading 3D Monster Maze. 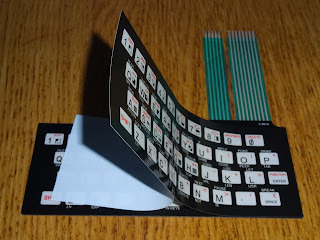 The stick on overlays are available to order from my Tindie Store, I also have the RWAP ZX81 replacement membranes if you need one of those as well. 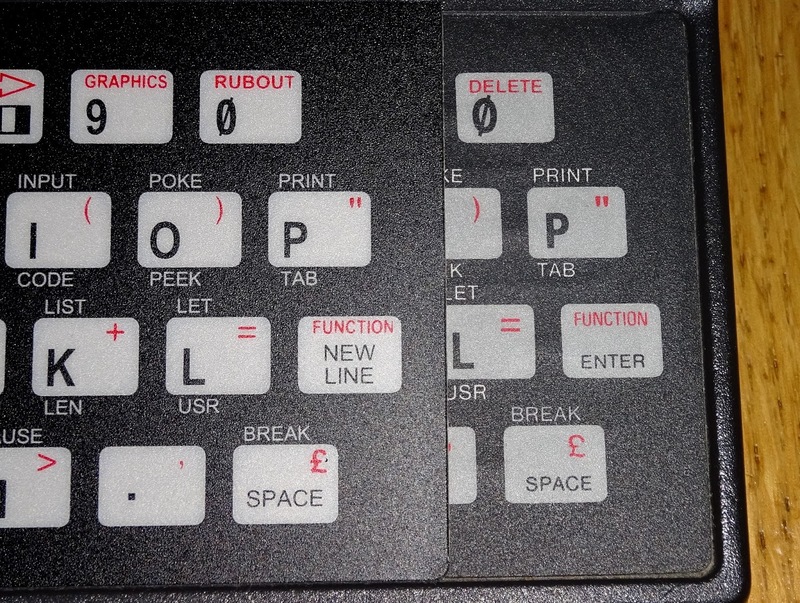 There are also the ZX80 style overlays if you fancy a change of colour scheme on your TS1000 or ZX81. 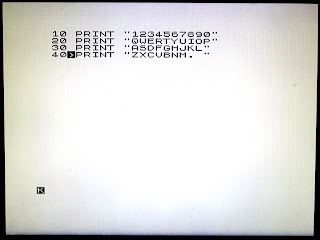 The 8K ZX80 overlay uses the same keywords as the ZX81, so you can use it as normal. 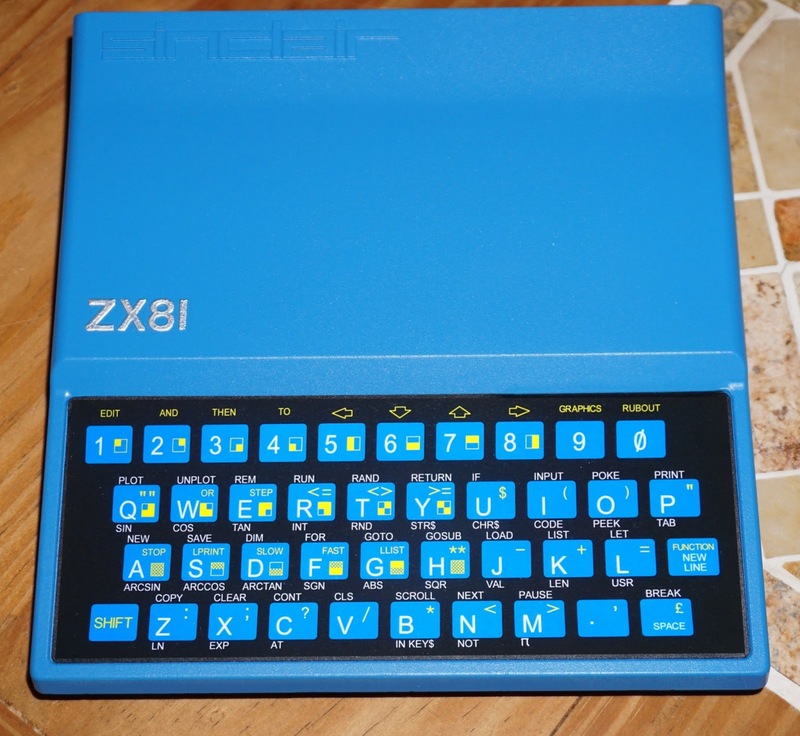 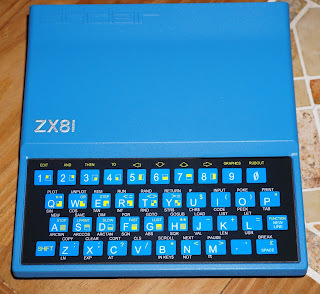 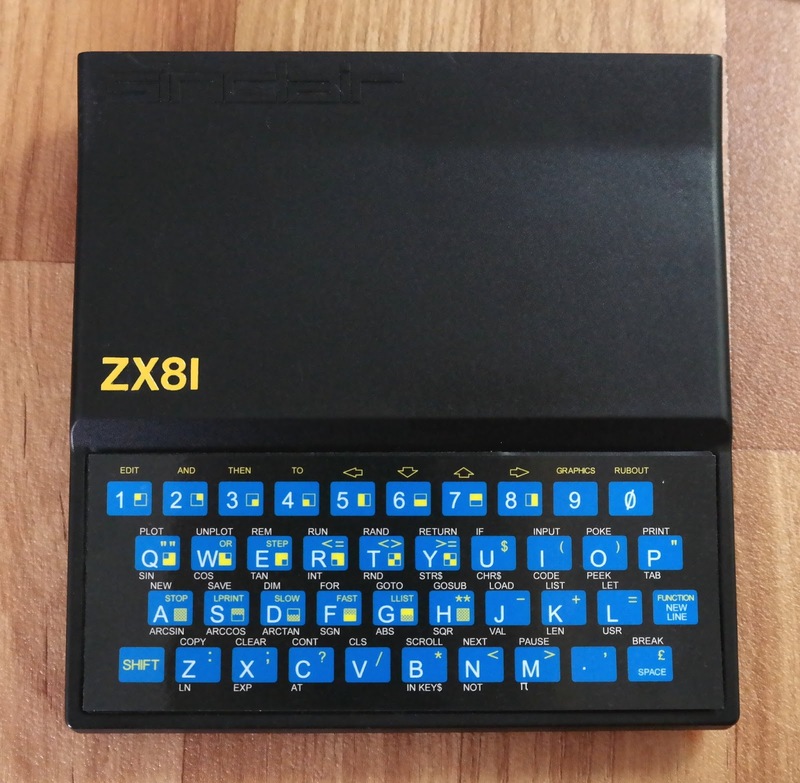 Build you own custom ZX81, such as this fetching example from ZX Priestess. 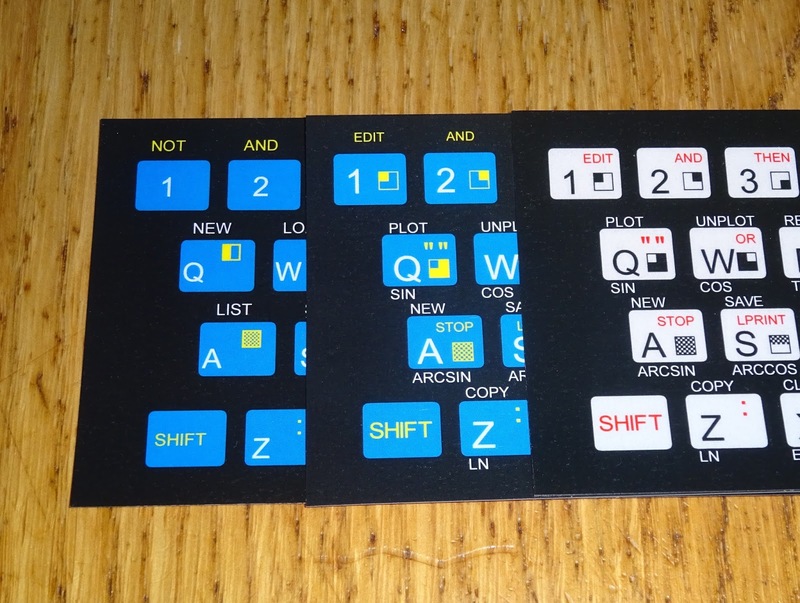 Or this blue themed transformation from Dave Williams. 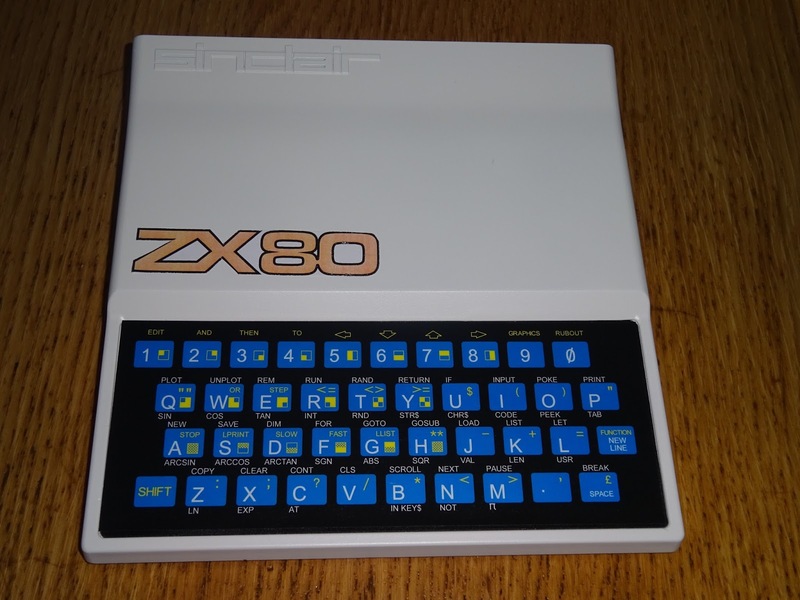 Or my own ZX80 style white ZX81 (using the 4K ZX80 overlay with different keywords). 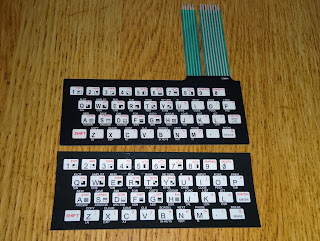 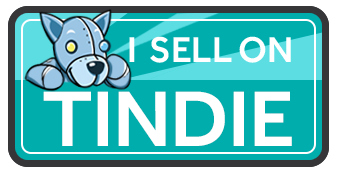 Overlays and membranes are available from my Tindie store. 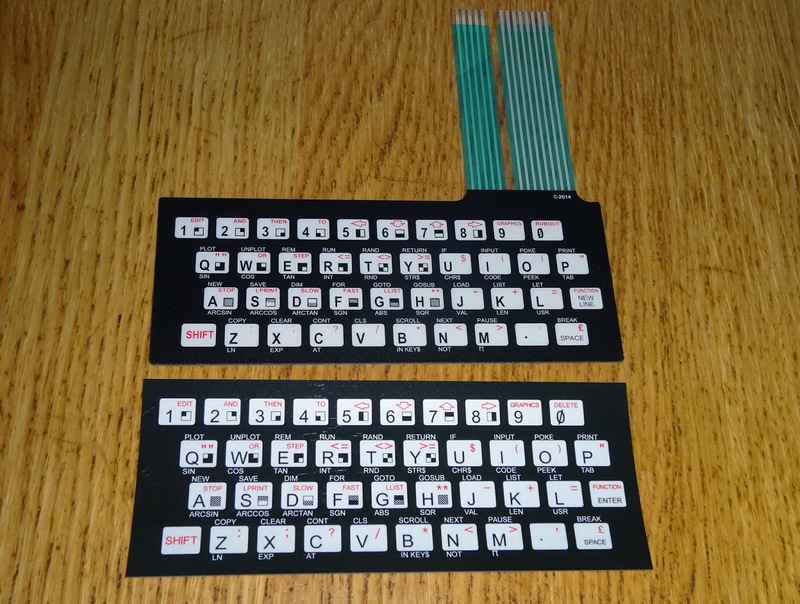 Alternatively, you can order the overlays from SellMyRetro, where you can also buy the RWAP ZX81 Membranes. 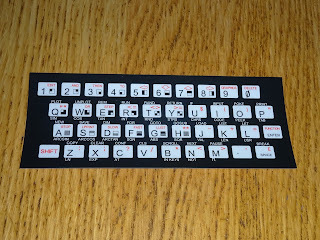 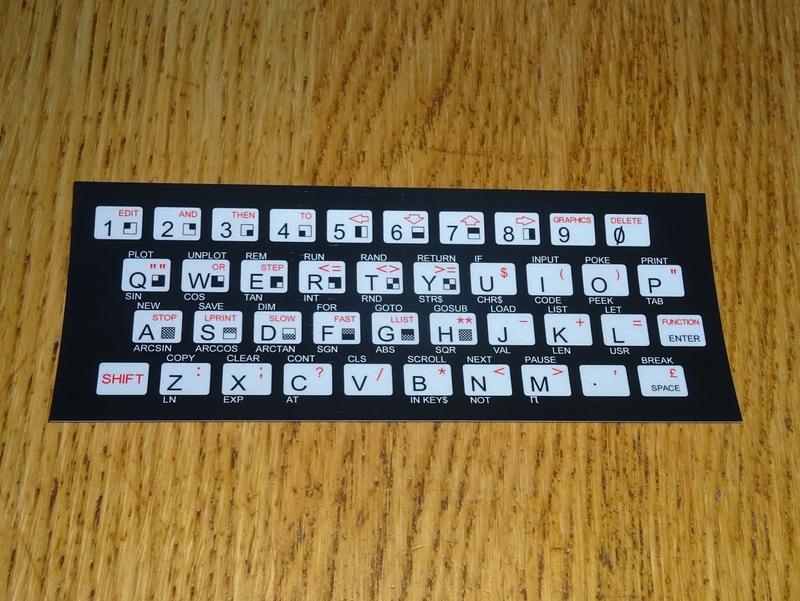 Thanks again to Grant Searle who provided the base artwork for the original ZX81 keyboard.